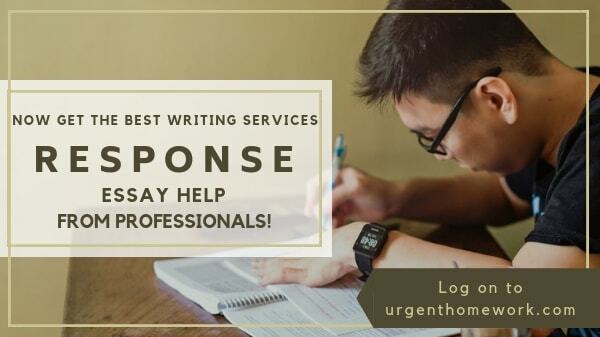 Response or reaction essay is a paper which is written in response to reading or analyzing an existing article, thesis, research paper, essay etc and to present your own perspective and analysis. Such articles are written as an expression of your analysis about a book, journal, article etc. It is often a brilliant chance to express your personal views about things, where your own opinions are the centre of focus for the readers. What feelings or opinion arises in you about the writing you read? Do you agree or disagree with the author’s perspective? Why? What conclusion do you draw from the article? By experiencing the subject on your own! To build a response, it is necessary to understand the content thoroughly by yourself. Go through the things well and understand its various features. It is also necessary to make notes of the things you have recorded primarily, as they can be very useful once you start writing your essay. While you are reading your subject, keep marking important points and write down the ideas which come to your mind while reading. All these small pieces later play a vital role in framing the outline of your response essay. What is the structure of a response essay? The first paragraph of the entire paper can make or break the entire image of your work. Thus, make sure you carefully plan the things to be mentioned and how to be mentioned. Begin your article with a catchy sentence, let us say a popular phrase or a self-composed sentence of smartly chosen words. Introduce the article, book, journal etc which is your subject of analysis and briefly explain it in the introduction as well. Keep in mind that the introduction should be crisp and to the point, which directly grabs the attention of the reader and creates an urge to read your work further. It is also important to frame a strong thesis statement, which states your objective of writing the response essay. Explain the reasons to zero down on the selected subject in your thesis statement. The body should be a thorough discussion of your opinion on the subject. Divide your main content further into paragraphs, each about a specific subtopic. Investigate your subject well and use all the notes that you made while reading to make a rough outline of the sequence of points. Also, discuss one point at a time while writing, rather than mixing them up. As response essay to counts in as a formal document, it is important to follow one format throughout your work. There are various formats which are widely used for writing such as APA, MLA, Chicago, AMA etc. the kind of format you should select also depends on the subject matter and requirements of the assignment. If your perspective contrasts with that of the author’s, then it is required to collect adequate proof to justify your statement, or else your opinions may seem as mere false statements. But at the same time, it is equally important to carefully choose the words you write. Do not go for a harsh or disrespectful choice of words, even if you do not agree with the opinion mentioned in your subject. As you have read above, the tone of the words you choose has to be soft, even if you have a negative or a conflicting point to say. As you go on towards the end of your response essay, the concluding paragraph should be about suggestions from your end about the entire topic. Summarize your ideas briefly in a positive manner, so that it casts an affirmative impression on the reader’s mind. What are the Do’s and Don’ts to keep in mind? To make your response essay a success, it is necessary to follow some quick and easy tricks to make your work a success. When you work on your response paper, keep in mind the points mentioned below. Before making any judgment, it is a must to critically analyze the facts from various perspectives. Before becoming a critic, be a good reader first and examine the piece of writing thoroughly. It may happen that one may not agree with the author’s viewpoint at all times, hence you may have colliding opinions on one or more parts. But to maintain the authenticity of your statements, it is important to support them with adequate and relevant evidence, which justify your declarations. Without these, your reports may seem as just assumptions or false accounts, which can cast a negative sense in the reader’s mind. If you are writing a response to a famous book, journal, article etc, it may happen that response from other readers may already be existing about it. Make it a point to add your own opinions, suggestions and ideas in your own response essay, rather than repeating what others have already expressed. Your own ideas will be the unique factor of your work. Like them or not, but suggestions are always invited more than objections! If you do not like a character, do not say bluntly that ‘I hate the character Olenna’, ‘I did not like the climax of the story’ etc. Remember to maintain a professional tone, where even if you have a negative point to say, an affirmative quality is expected. Instead of sharply disliking apart, suggest alternative ideas which you feel could have made the story better. As mentioned earlier, support each of your statements with valid reasons, which add to their genuineness. With sufficient proofs, it would also play a vital role in improving the quality of your thesis. There is a difference between a summary and a response essay; a summary is a brief or synopsis about the entire work and introduces it to the readers to give them an overview of the entire book, whereas a response essay is a reader’s own opinion about the piece of writing, where he presents his ideas about the work, offers suggestions and evaluates the plot according to his perspective. Keep the difference in mind while you prepare your response. What kind of responses can you write? There are six major kinds of replies which can come up with a piece of writing. If you agree with the author’s viewpoint, then you may write a response essay with few explanations as to why you agree. Contradictory opinions from the author’s presentations are justified in such kind of a response essay. It may also happen that at some point, your ideas do not match with what is mentioned in the article and you agree with some other ones. For both kinds, it is important to mention as to why you liked apart and why not. For such kind of essay, an in-depth study is required wherein you study the facts and information provided by the author for an overall evaluation of his work. A summary of all your ideas about the article can be presented, which gives an account of the points at which you agree or disagree. In a clarifying and explorative kind of response essay, you can state your reaction to an author’s work and examine his style of work further, i.e. writing style, choice of words, plot inspiration, an expression used etc.